AVG has been a worthy opponent, as far as online protection is concerned. Having scored excellent marks at the tests by the unbiased AV-TEST, it is definitely an alternative that requires extra attention in the field of online security. So, if you wish to go the extra mile and learn more about this software offered for free, you are more than welcome to stick with us and get to read through our analytic review. We are planning to shed light to all the details and offer you the opportunity to decide for yourself, as to whether or not AVG is the ideal software for your precious computer. As stated above, AVG antivirus free version comes packed with some truly amazing and extremely helpful features. First of all, there is the AVG Zen that will help you out, in case you wish to keep all your devices running smoothly and without any problem whatsoever. Whenever you want to delete a file of yours, you can do that promptly and efficiently with the contribution of the File Shredder. This feature will come in handy every time you right click on the file that you want to erase once and for all. So, if you are interested in combining state-of-the-art technology along with modernity and effectiveness, AVG free has got you covered. Let’s check through the setup and interface of the software, shall we? You normally download AVG antivirus free from the official website of the company and the process is quick and easy to complete. You click on the button that initiates the download and then you install the software, by agreeing upon the execution of the files downloaded. From then on, a small icon appears at the bottom right side of your task bar and a shortcut emerges. As for the interface of AVG free, some people might say that they are confused from the straightforward character of all the boxes in front of the display. However, once you spend some time figuring out what you need to do, it is kind of cool! What does not seem cool is the constant reminder of upgrading. Nobody can argue that the premium version always has some extra features worthy of attention; still, not everyone is willing to spend money on online protection. The free download of AVG antivirus will grant you access to some solid solutions in online security. All at once, there is unique online help and support that you can benefit from. 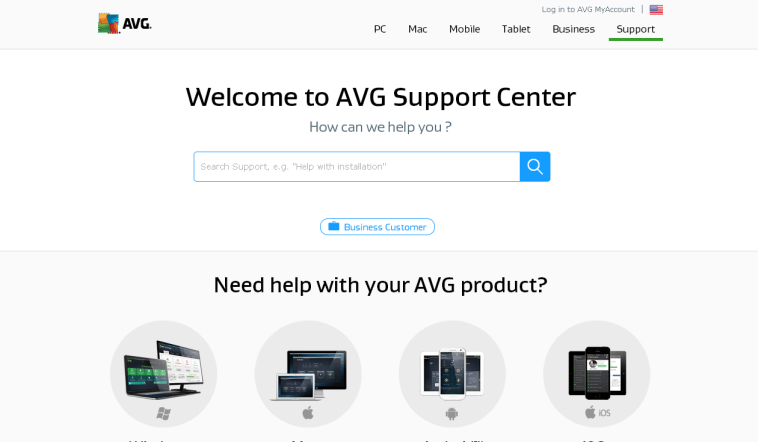 There is a rich collection of data within the FAQ section of the company and quick links, which are meant to optimize your experience when using AVG products. Additionally, you are encouraged to submit a ticket with any problem you might come across. Last but not least, there is a superb AVG support community that is waiting for you to navigate through and proceed with your inquiries. The only thing that is missing is the live chat and perhaps the phone option to the support you are given. AVG free antivirus has been proven an extremely reliable solution in online protection. Having detected 99% of the total malware incidents and having tracked 97% of the zero-day attacks faced with, we can conclude that it is a solid option regarding online protection made efficient. A significant problem that might come up is the lack of a firewall, which is the reason why AVG free has been performing so fast. Still, as research dictates there is not a lot that should worry you even with the free version of AVG. As for the scanning options, no quick scan is available and therefore you ought to proceed with the full scan of your computer or specify the files and parts you wish to scan. What is more, by right clicking on the icon of AVG you can de-activate the software for a while. AVG is available for all OS and devices. So, it does not matter if you are a Windows fan or a Mac lover, if you have got an Android, a Windows Phone or an iPhone, you can download and make use of the AVG free antivirus equally effectively. You simply download the version, which works best for your products at a time. AVG has drawn great attention to mobile devices and you can easily comprehend it, as soon as you have a glimpse at the special features and of course even the basic coverage for such OS. AVG Zen allows you to handle all your devices and leave everything to chance. In addition, there is the useful feature of anti-theft that can help you out a great deal. After logging in, you can track your mobile device and prevent any leakage of private information. Apparently, there are other extra features that you can download as apps for optimizing your mobile performance and your level of security, such as SIM Lock and Camera Trap. 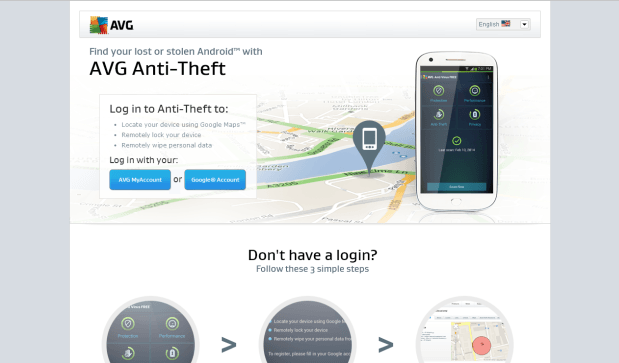 On the whole, AVG has made significant progress in trying to secure all mobile devices. Having reached the end of our review, we can now conclude as to its overall evaluation. It is definitely a worthy competitor in online protection and this is most eloquently highlighted by the percentage of malware and other threats detected. It lacks a proper Firewall, but the speed gained by this lack is something beneficial to most. Although it can be off-putting at times to be that persistent towards the upgrading of the software, it is true that the special features and the thorough support and assistance of AVG do make amends! AVG free antivirus is certainly reliable, given its performance in AV-Test as to malware detection. It is super fast and it offers the cool file shredder and AVG Zen for mobile devices. Though quick scan is not an option and you can be put off by the upgrading persistence, AVG free remains a solid solution in online protection, even without a firewall. Kaspersky Lab Reports the Evolution of Cybercrime: How Safe is Your Money?